If you have a couple of hours to see some painting exhibitions in New York, but you can’t bear going to the art fairs, here are a few notable shows to check out in Chelsea. 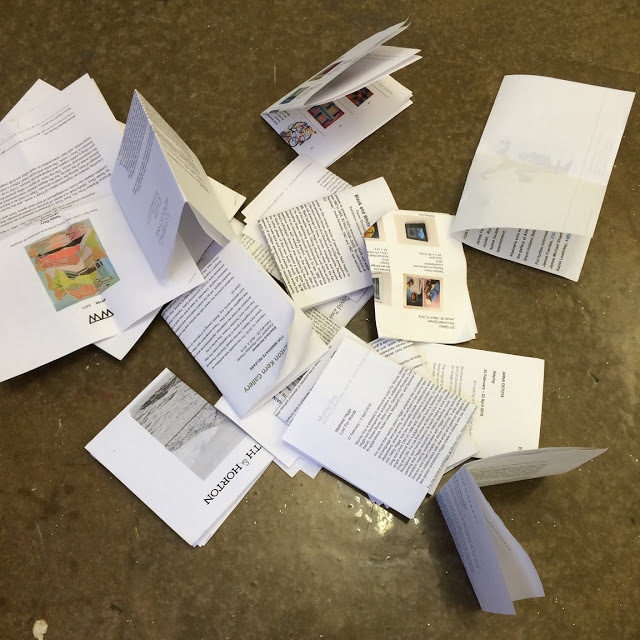 And in case you can’t make it IRL, links to the exhibition websites are provided. 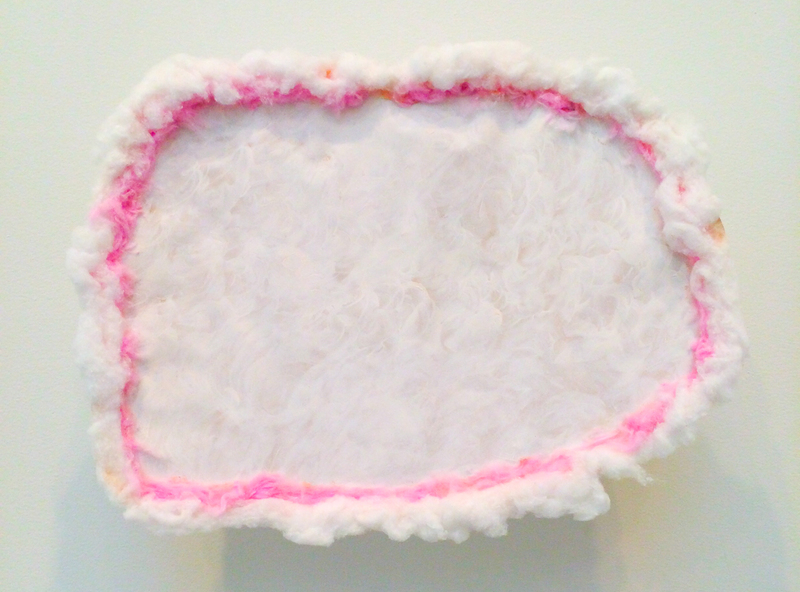 David Zwirner / davidzwirner.com / Karla Black, Feb 27 – Mar 26, 2016 / Girly materials like fake fur and make-up in shades of pink and fleshtone, combined with minimalist form. Zieher Smith & Horton / ziehersmithandhorton.com / Saul Becker “An Unfamiliar Tide,” Feb 19 – Mar 19, 2016 / I see faces everywhere in these desolate landscape paintings of mountains and oceans–but maybe I’ve been watching too many reruns of The X-Files. Bortolami Gallery / bortolamigallery.com / Anna Ostoya “Slaying,” Feb 25 – Apr 23, 2016 / This series of paintings based on Artemisia Gentileschi’s Judith Slaying Holofernes turn a violent, bloody painting into a formalist exercise in geometric abstraction. Good metaphor for our mediated experience of violence. 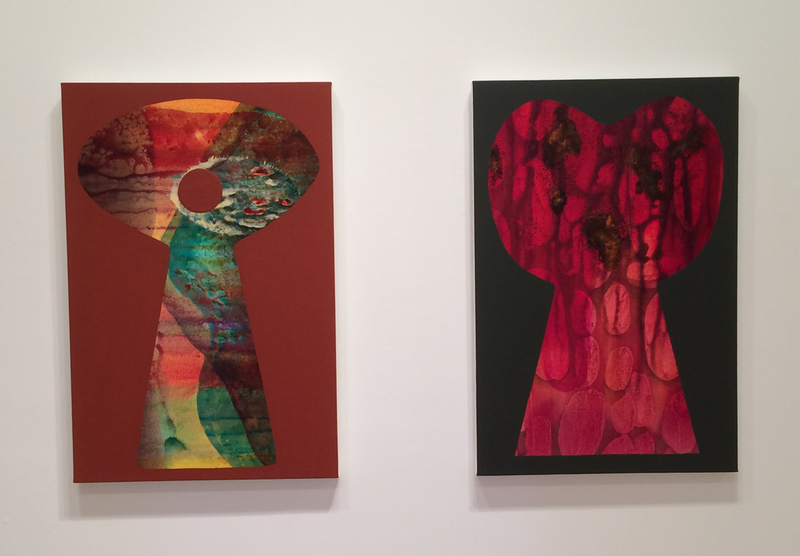 In the back room, she presents a series of surrealist inflected photomontages. Anton Kern Gallery / www.antonkerngallery.com / Eberhard Havekost “Expulsion from Paradise Freeze,” February 25 – April 02, 2016 / An inspiring exhibition of twenty-five paintings of various sizes and shapes, some of which are thinly, meticulously painted and representational, and others which are gestural, thickly painted and abstract. Each day brings something new, right? 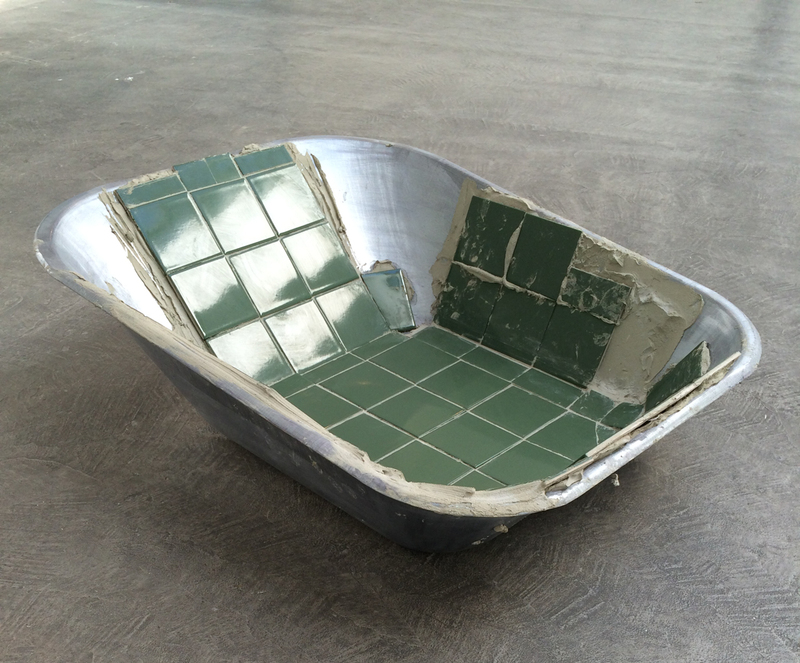 Paula Cooper / www.paulacoopergallery.com / Matias Faldbakken “Europe is Balding,” Feb 18 – Mar 19, 2016 / Faldbakken covers everything from a wheelbarrow and truncated dashboard to shelving for a home entertainment unit with mortar and monochromatic bathroom tiles. 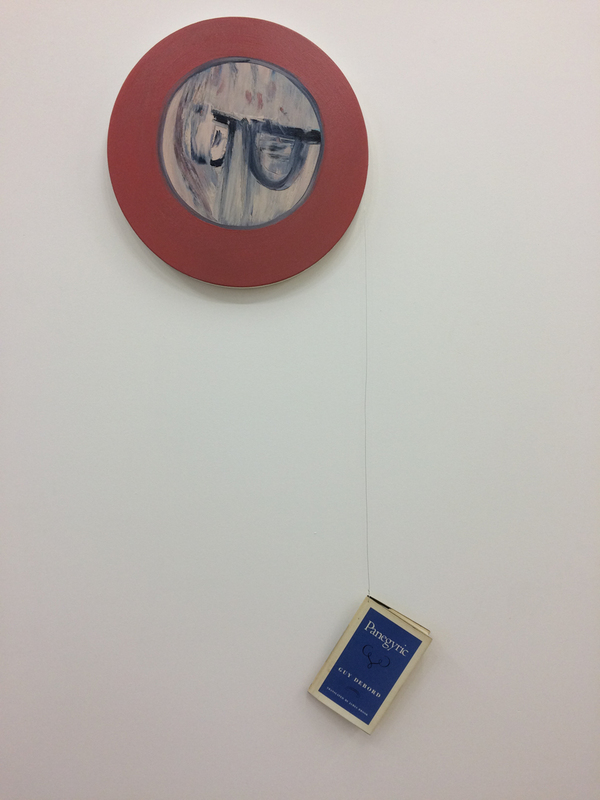 A video of an old man making sculpture is also on display, but I was too drawn to the objects to watch it. 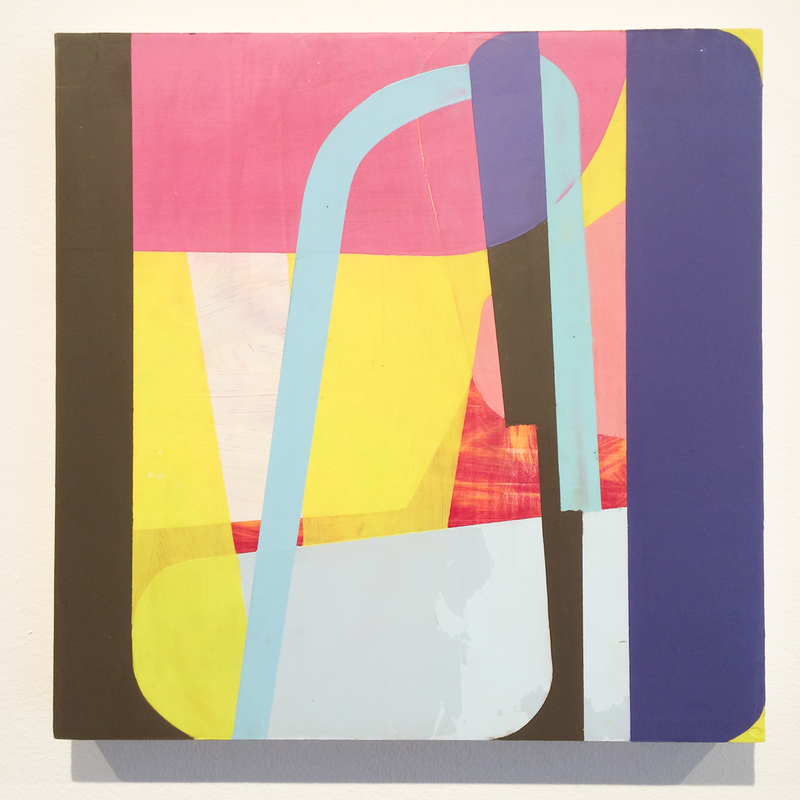 DC Moore Gallery / dcmooregallery.com / Carrie Moyer “Sirens,” Feb 18 – Mar 26, 2016 / Process-oriented abstraction with bold, cheeky color. 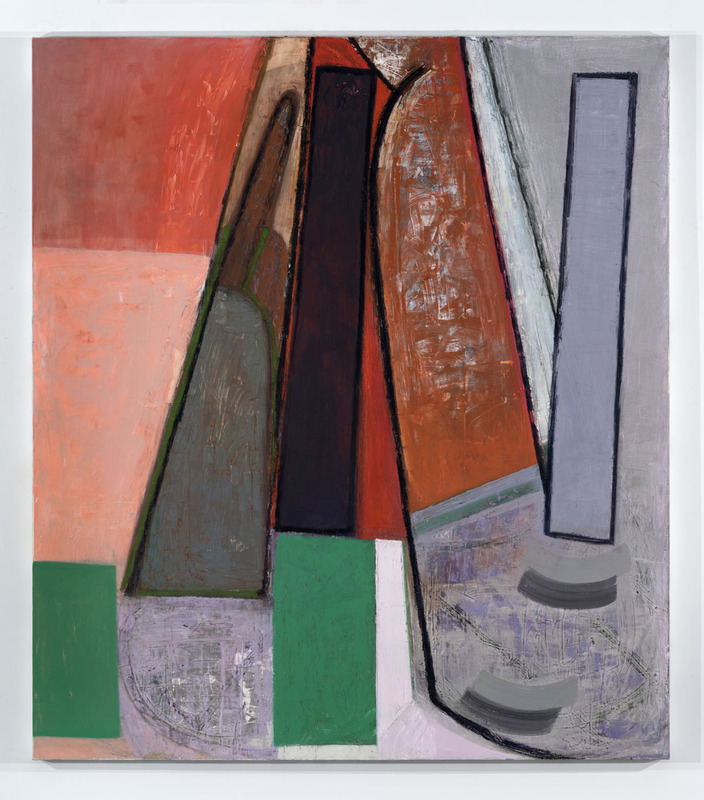 Sikkema Jenkins & Co. / sikkemajenkinsco.com / Amy Sillman “Stuff Change,” Feb 4 – Mar 12, 2016 / Sillman is a master paint handler, which isn’t a small thing, and here relies heavily on formalism and facile brushwork. 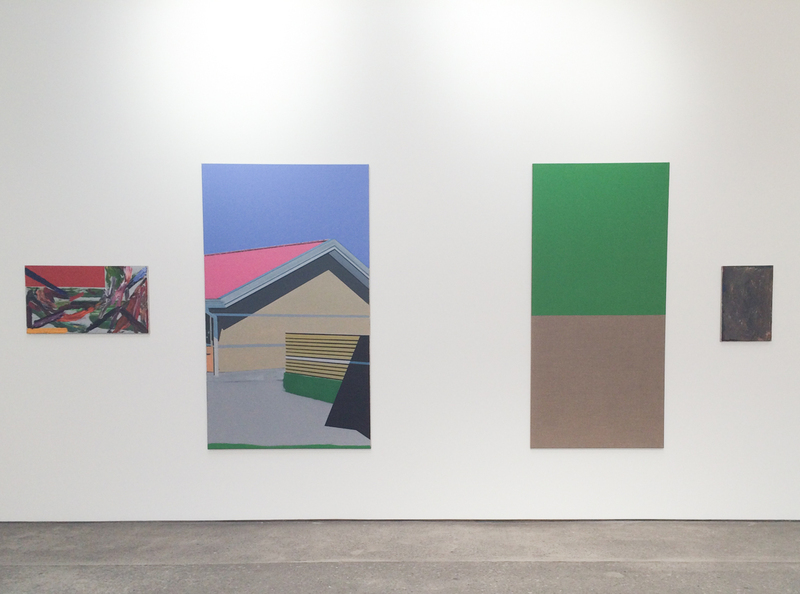 The Curator Gallery / www.thecuratorgallery.com / “(Un)conditional Color,” Feb 25 – April 2, 2016, curated by Mark Wethli. 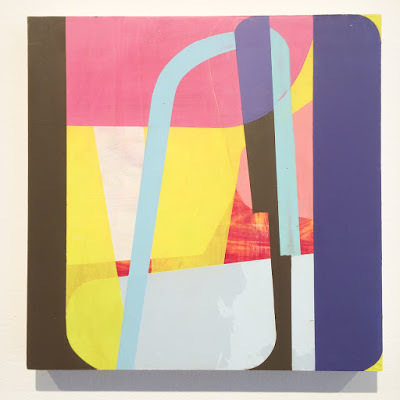 Artists include Suzanne Laura Kammin, Jason Karolak, Tom Krumpolak, Brooke Nixon / These artists combine vivid color with geometric abstraction. The show is overhung, but if you can focus on a few paintings it’s a satisfying experience. 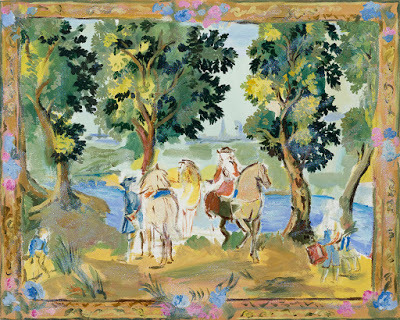 The image above is by Suzanne Laura Kammin. Asya Geisberg Gallery / asyageisberggallery.com / Angelina Gualdoni “Folds and Fields,” Feb 25 – Apr 2, 2016 / Angelina Gualdoni is beginning to integrate the visual languages that she has been developing over the past few years. 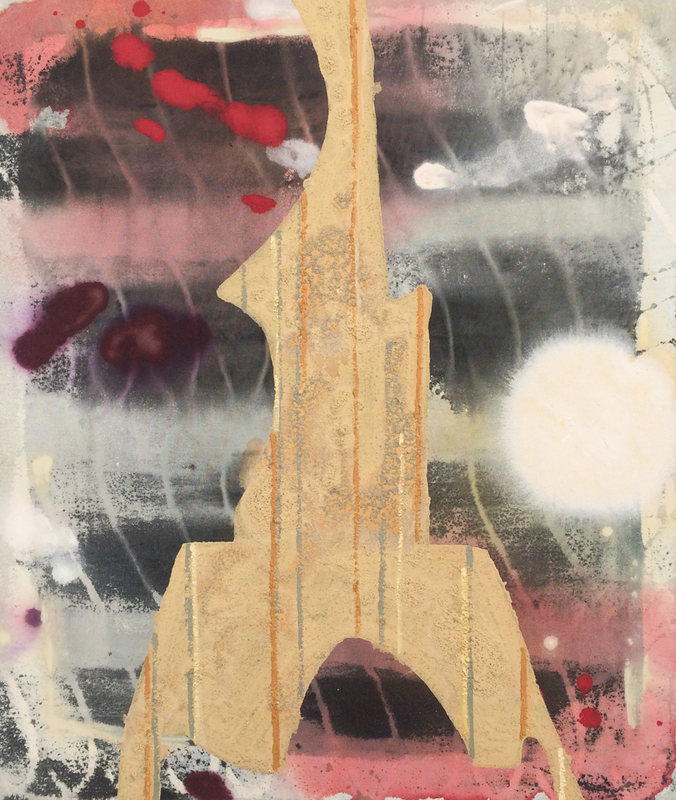 Her new work–combining pouring and staining with still life, figurative, and architectural imagery–looks terrific. 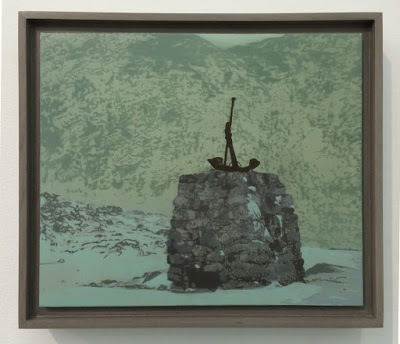 Gladstone Gallery / www.gladstonegallery.com / Richard Aldrich “Time Stopped, Time,” Jan 29 – Mar 5, 2016 / As usual, Aldrich works conceptually, combining approaches and materials to suit his ideas. 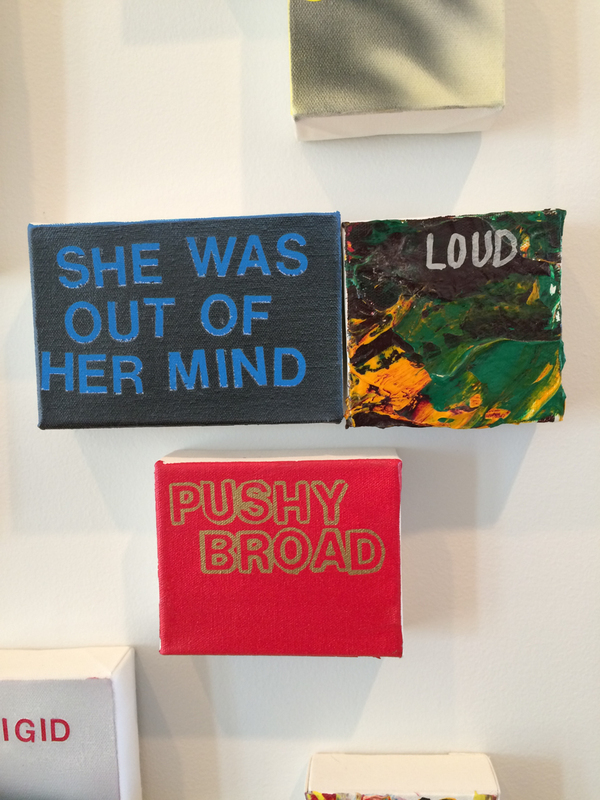 This show includes printed dibond, oil on canvas, ceramic appliqué, and more. “Existing outside of a linear stylistic progression, Aldrich posits that what is at stake is not style, form or material, but rather how these are utilized and engaged with to express a more global understanding of a complete body–be that an idea, feeling, or concept.” I agree. I think. 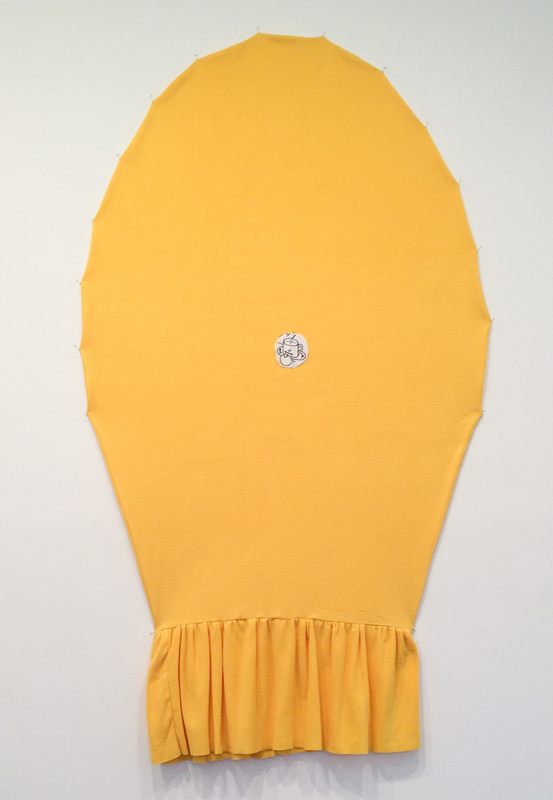 303 Gallery / 303gallery.com / Karen Kilimnik Feb 18 – Mar 26, 2016 / Kilimnik collages little photographs of cats into images of tapestries and other art historical materials, recreates tapestries on small canvases, fools around with scale and lighting, and so much more. 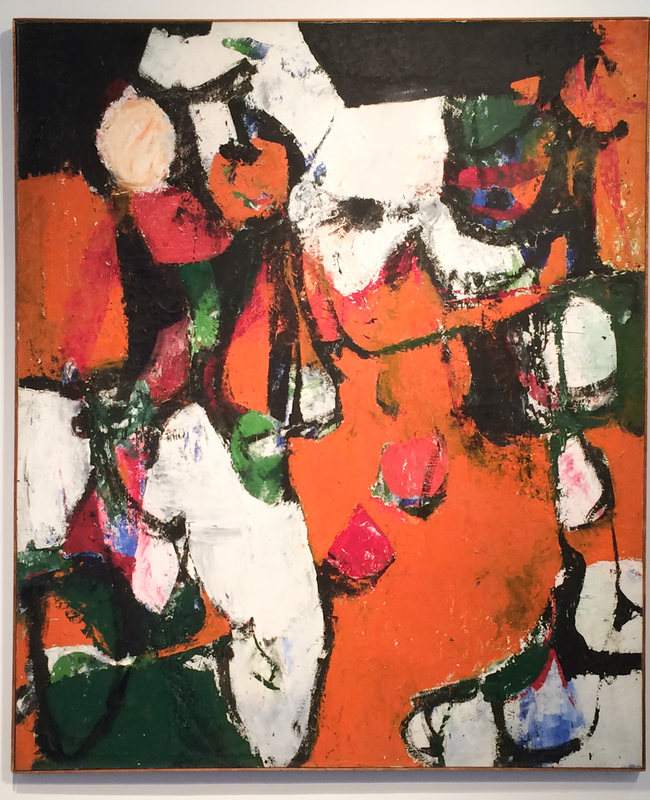 Berry Campbell / www.berrycampbell.com / Charlotte Park, Feb 11 – Mar 12, 2016 / Abstract Expressionist Charlotte Park “kept a low profile over the course of her career, her paintings overshadowed by the attention given to the work of her husband, James Brooks.” Need I say more? 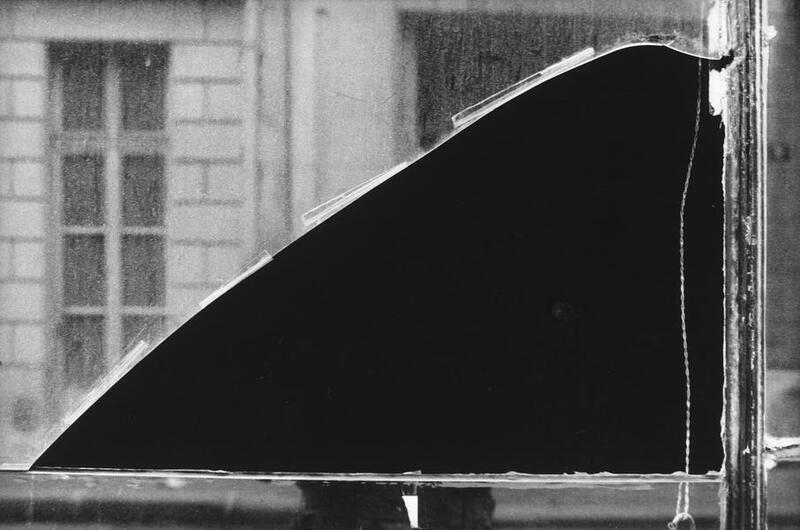 Matthew Marks Gallery / matthewmarks.com / Ellsworth Kelly Photographs Feb 26 – Apr 30, 2016 / These stunning photographs confirm that Kelly was a careful observer of the world around him. Susan Inglett Gallery / inglettgallery.com / Beverly Semmes “Rabbit Hole,” Feb 4 – Mar 19, 2016 / With tulle, felt, fleece, faux fur, and clay, Semmes creates a series of objects marked with diagrams from Erle Loran’s 1943 book, Cezanne’s Compositions. 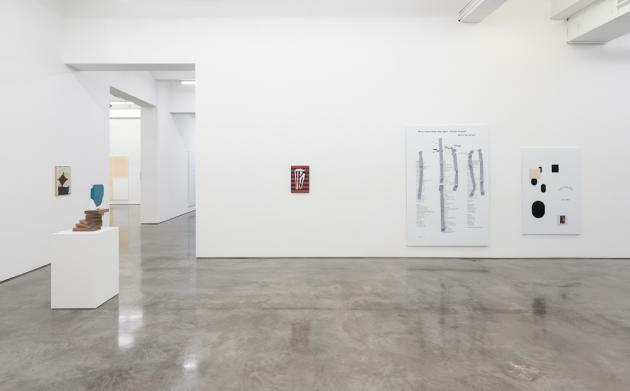 The inclusion of Loran’s analytical drawings smartly points out how ridiculous this type of analysis seems in the presence of an actual art object. 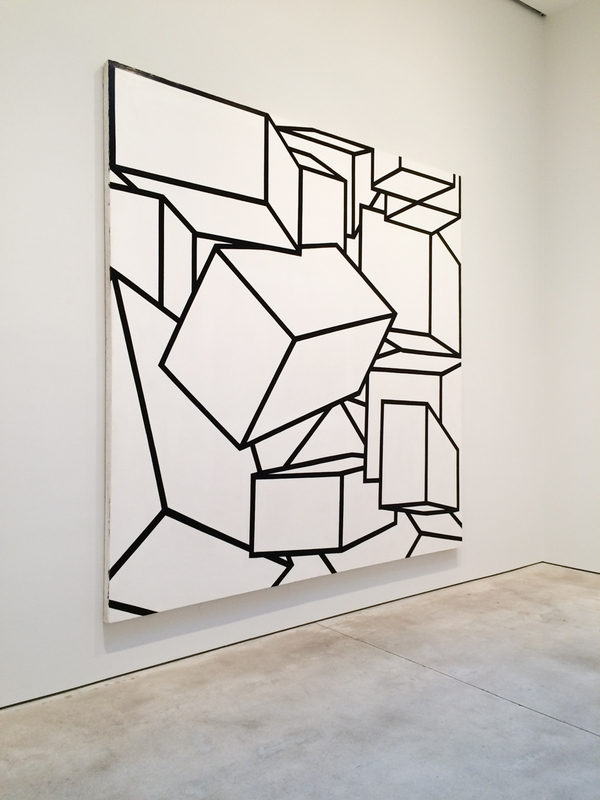 Cheim & Read / www.cheimread.com / Al Held “Black and White Paintings,” Feb 18 – Mar 26, 2016 / LOVE. 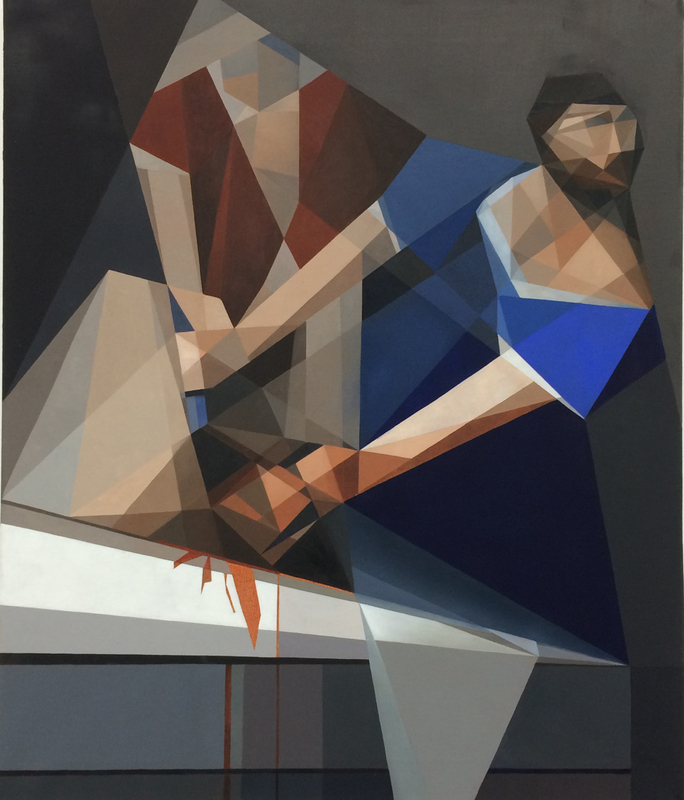 This work speaks to me–geometry gone wrong, austere color, wonderful surfaces. The Flag Art Foundation / flagartfoundation.org / Betty Tompkins “WOMEN Words, Phrases, and Stories,” Jan 20 – May 14, 2016 / 1,000 paintings that recite all the nasty things people say about women. 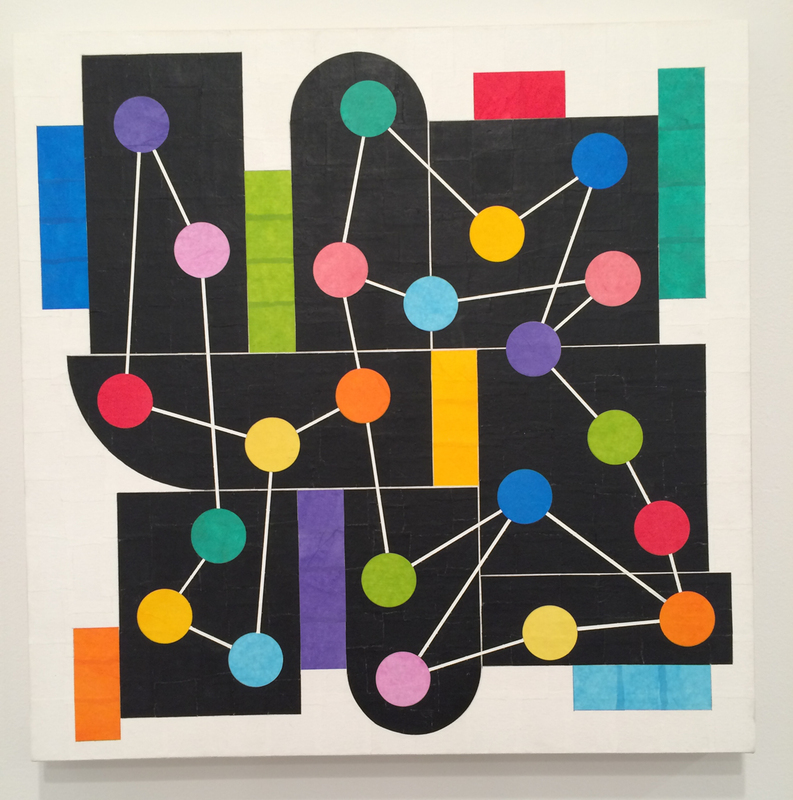 Lennon, Weinberg, Inc. / lennonweinberg.com / Richard Kalina “Panamax,” Feb 18 – Mar 26, 2016 / Kalina has developed visual algorithms to produce geometric abstractions that are at once pristine and expansive. Lively alchemy ensues. 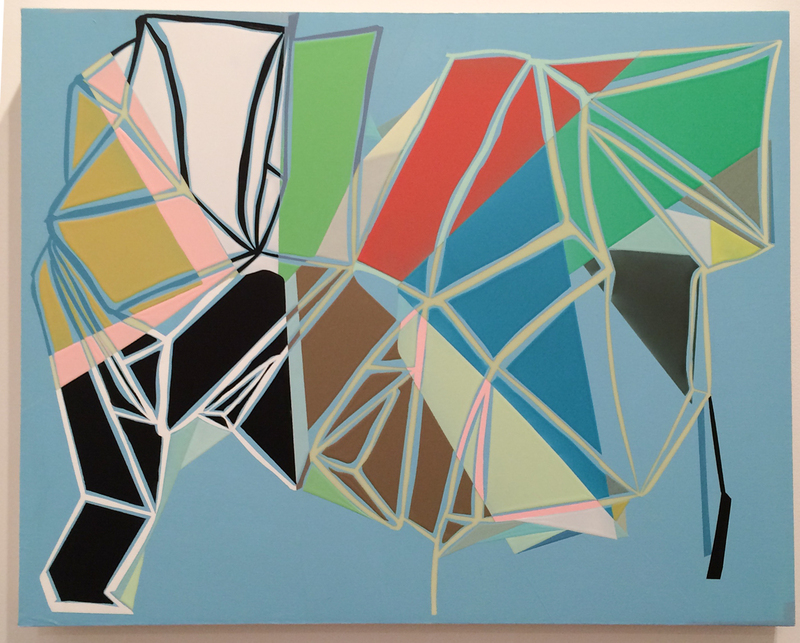 Winston Wächter Fine Art / winstonwachter.com / Susan Dory “Motherlode.” Jan 28 – Mar 5, 2016 / Self-directed but tidy geometric abstraction, featuring inventive color and evoking the stratified and compartmented features of both natural and man-made surroundings. Note: Many of the images in this post originally appeared on our Instagram feed.